AETOS, a member company of MISTRAS Group, Inc., is an industry pioneer in utilizing aerial, surface, and submersible robotic technologies to provide non-destructive testing (NDT) inspections for the oil & gas, petrochemical, civil infrastructure, energy, and utility industries. AETOS has revolutionized maintenance and inspection processes to reduce downtime and costs, making them safer and more efficient, all while working diligently to integrate the best platform and payload technologies to meet demanding industry needs. AETOS’ NDT drone inspection capabilities, in tandem with MISTRAS’ offerings as a one source global provider of asset protection solutions, offer the opportunity for fully-integrated asset management, even in confined or hazardous locations. Our combined technology-enabled solutions provide facility operators with uniquely beneficial solutions to perform in-service inspections, improve operational health, manage and identify flaws, support crises and catastrophes, oversee construction and repair work, and cost-effectively monitor indoor and outdoor assets. AETOS comes equipped with a team of licensed pilots with advanced drone inspection experience to offer safe, informed, and efficient aerial NDT inspections, mapping, and surveying. 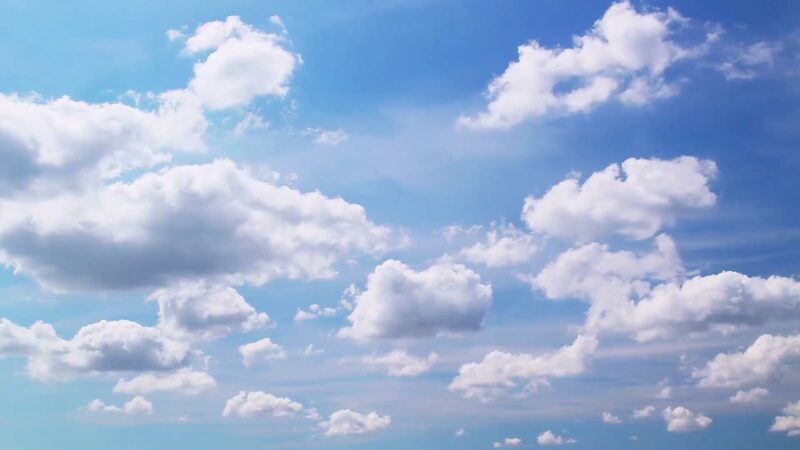 We were the first company to receive FAA approval to fly Unmanned Aerial Systems (UAS)–also known as Unmanned Aerial Vehicles (UAV)–in the petrochemical industry. We have since extended our UAS/UAV drone inspection and flying experience into civil and energy infrastructure, utilities, and environmental industry inspections. 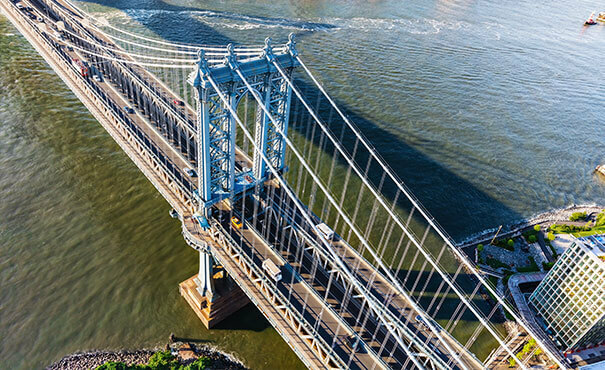 Our UAS are proven to be the safest, most capable and robust aircraft available for aerial NDT inspections, allowing them to acquire accurate data and high-resolution imagery of bridges, buildings, tanks, live flare stacks, and other energy and general industrial infrastructure. 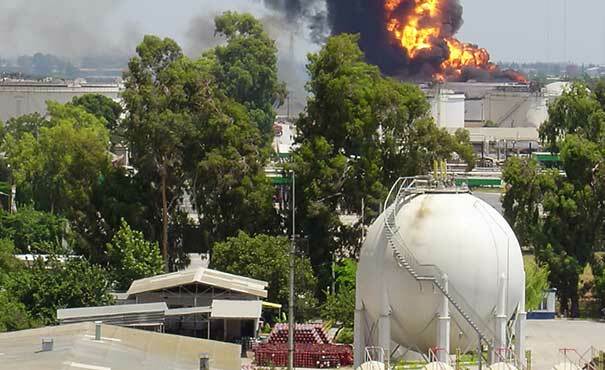 Emergency situations demand fast response and a perspective that allows for quick decision-making to preserve the safety of both personnel and property, particularly in hazardous areas of oil & gas and petrochemical operations. 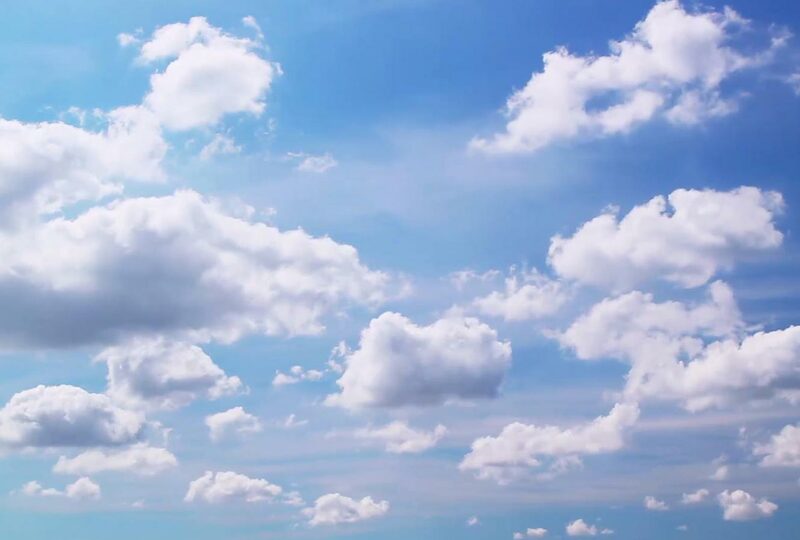 Drones have the ability to send real-time NDT information, images, and video to operators, enabling prompt, informed decision-making in the most time- and safety-efficient way possible. 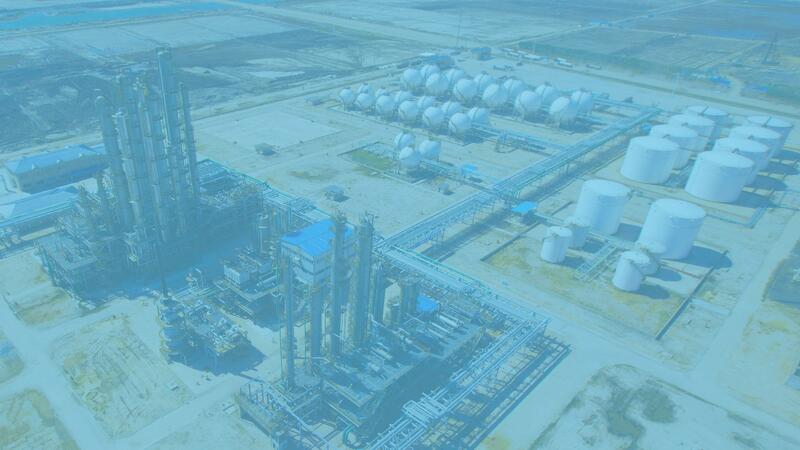 In many cases, vantage points gained by our oil & gas and petrochemical UAV inspections are not possible by other means due to the hazards involved. 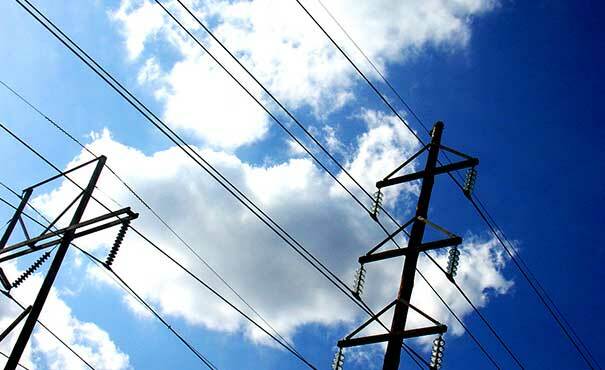 Constant and reliable power is vital to keeping processes running smoothly. Regular NDT inspections of towers, connections, and insulators are central to these operations, and UAS utilization allows them to be completed easily, effectively, and quickly. In the power and utilities industries, storm damage and other issues can impact the integrity of the lines or structure. Drone inspections can help identify problems while keeping personnel at a safe location. In addition to power line UAV inspections, AETOS also has experience conducting energy industry inspections on boilers, heat recovery steam generators (HRSGs), wind turbines, and solar panels. Drone mapping technology and aerial photogrammetry have created significant opportunities for previously difficult or unavailable facility management, such as capital project surveys, topographic maps, and computerized flood and runoff modeling. Aerial mapping services in 2D provide a more detailed and current “Google Map,” that can be used for directing workers to the proper places in facilities, planning turnaround and inspection processes, and monitoring construction progress. Area surveys and 3D mapping are possible through advanced software that combines thousands of photos to create a 3D-point cloud. These models allow extremely accurate geo-referenced volumetric measurements for landfills, mines, construction sites in the utilities sector, and more. Where power and utility industry mapping and surveying assessments used to take months, we can now map over 100 acres per day and process data in under a week. 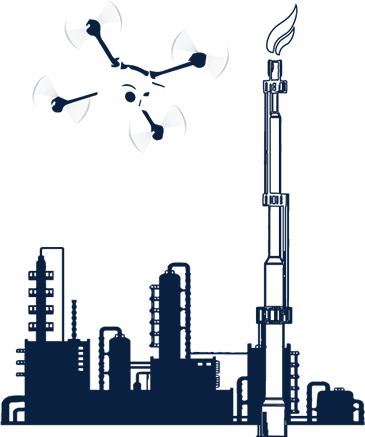 Our oil and gas refinery and chemical plant flare stack inspections provide online, top-to-bottom integrity. Our UAV inspections include the entire flare, including flare tips and all associated piping, flanges, and supporting cables. This can all be accomplished while the live flare is in use, eliminating the need to shut down the process or set up a temporary flare. 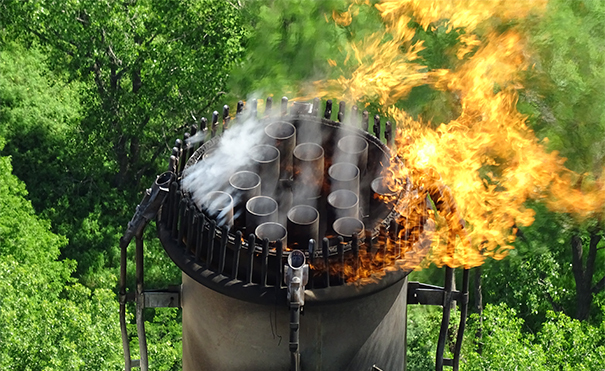 Our infrared (IR) flare stack inspections detect environmentally-hazardous leaks and fugitive emissions. We have experience conducting insulated steam line, guy wire attachment point, and ladder and landing integrity NDT drone flare stack inspections. Our typical UAV live flare stack inspections are completed in a matter of hours. Aerial high-resolution photos prepare engineers for the repair process by revealing what work needs to be done prior to shut down, increasing turnaround efficiency. AETOS provides live combustion analyses to combustion engineers to deliver the data needed for dynamic asset performance analysis. UAV inspection image of live flare stack tip. Cooling towers can lose their effectiveness as they age, and the underlying problems can be difficult to diagnose. 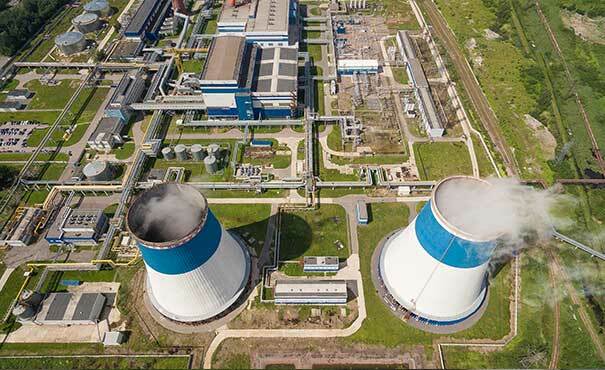 As an advanced technique to conduct power plant and petrochemical refinery cooling tower inspections, thermal imaging has become a valuable NDT robotic inspection tool in the energy industry. By using unmanned aerial systems to get an elevated, full-coverage infrared/thermal image of the tower, exhaust fans, and packing, engineers can more easily identify problems. Inefficiencies in distillation columns mean lost profits. Unmanned thermal and visual imaging can expose compromised insulation or process issues, effectively informing turnaround preparations. We conduct NDT robotic oil & gas inspections of elevated and confined pipe trays as part of planned inspections or to assess problem areas. Visual and thermal imaging sensors are used to identify corrosion issues, structural problems, or compromised insulation. In many cases, the problem areas are surfaces exposed to the elements on the top of the piping. Our unmanned drone inspections provide visuals of all of these concerns, allowing NDT inspectors to easily determine the best course of action. 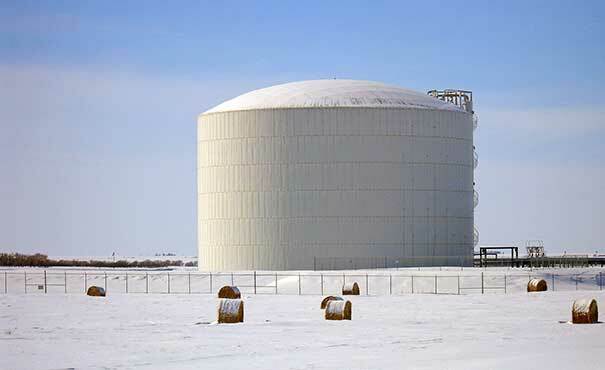 Our drones can easily image petrochemical refinery interior tank linings to discover tears or blisters indicating a lining problem. Floating roof tanks can have problems with trash collecting in vital plumbing, causing rain water to tilt the top. Our robotics can provide a visual of this. Vents, general floating roof integrity, and floating roof secondary seals are easily inspected as well. Closed roof tanks and geodesic dome integrity can be difficult to inspect when sending a person to the top is not an option. 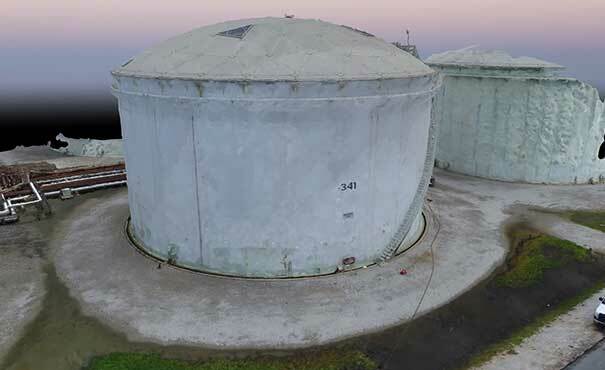 Identifying corrosion and blistered coatings can be done easily with unmanned robotic tank inspections, and we utilize MISTRAS’ certified inspectors to complete aboveground storage tank NDT inspections to API 653 certifications. 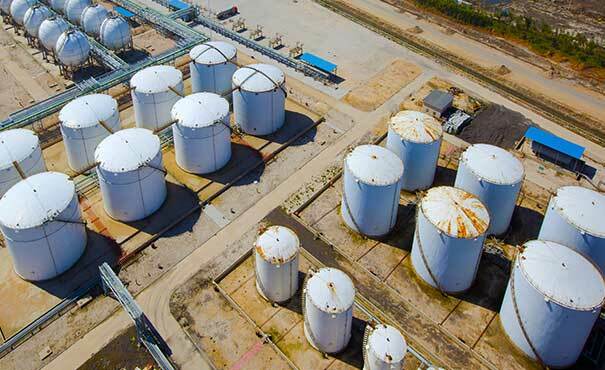 In addition, our drone mapping technology is able to provide tank farm secondary containment area surveys and volumetric analyses. AETOS has partners in the robotic industry to engineer custom solutions providing the best fit for your need, no matter the transportation, oil and gas, petrochemical, or process industry inspection application. Our manufacturing partnerships enable our surface drones to envelop an extensive range of robot and crawler designs, adaptable to many different industrial inspection demands. This technology ranges from very large to pint-sized, wired and wireless, and wall climbers and pipe crawlers, all with varying levels of automation capability. The unmanned drones are equipped with non-destructive testing (NDT) tools for a wide range of robotic asset inspections, including tanks, vessels, and more. AETOS is working closely with Level III inspectors and robotic technology manufacturers to expand remote visual inspection and NDT capabilities. We have noticed a gap between the industry’s desire to keep people out of confined and hazardous areas, and the personnel to operate the robotic technology that can close it. Our team intends to realize that closure. 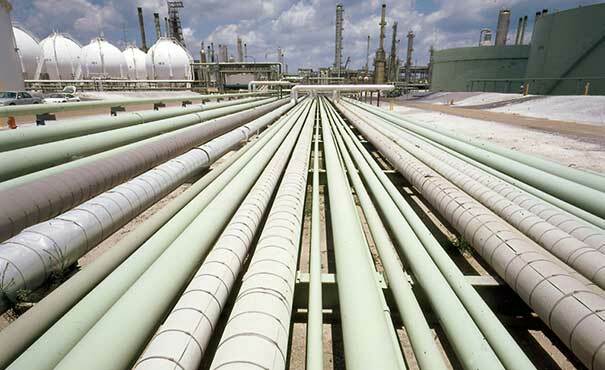 Most piping within process refineries and chemical plants and many outdoor pipelines can be impossible to inspect with conventional in-line inspection methods, often because of the difficulty involved in accessing their locations. During turnarounds, these assets need to undergo thorough inspections, as the hazardous materials that flow through them create prime environments for various damage mechanisms. To prevent the need for confined space entry (CSE), we conduct API 570 inspections with robotics equipped with high resolution cameras, UT and infrared scanning capabilities, and eventually, high resolution laser scanning. During construction and turnarounds, we’ve used unmanned robots with articulating gripper arms to recover debris lost in piping. Vessels require frequent inspections, as corrosion, mechanical damage and fatigue, and cracking can lead to catastrophic failure. These inspections are often done through traditional visual inspection methods, which require entry into the vessel, resulting in an out-of-service period and risks to personnel. AETOS’ crawlers enable cost-effective inspections to be completed more often, without the need to ready the unit for personnel entry. The drones provide a video feed for navigation, reducing instances of hazardous area and confined space entry inspections. Our surface robots are equipped with a variety of sensors and non-destructive testing (NDT) tools to meet the needs for lined and un-lined rail car tank inspections in the transportation industry. 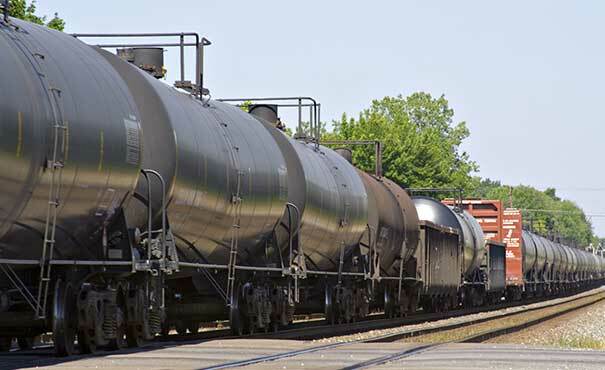 We inspect for evidence of abrasion, corrosion, cracks, dents, distortions, weld defects, or any other condition that may make the tank car unsafe for transportation. We use magnetic robotic crawlers to inspect tank floors and conduct wall thickness measurements to ensure the structural integrity of the tank. These inspections are completed without the need for a confined space entry. 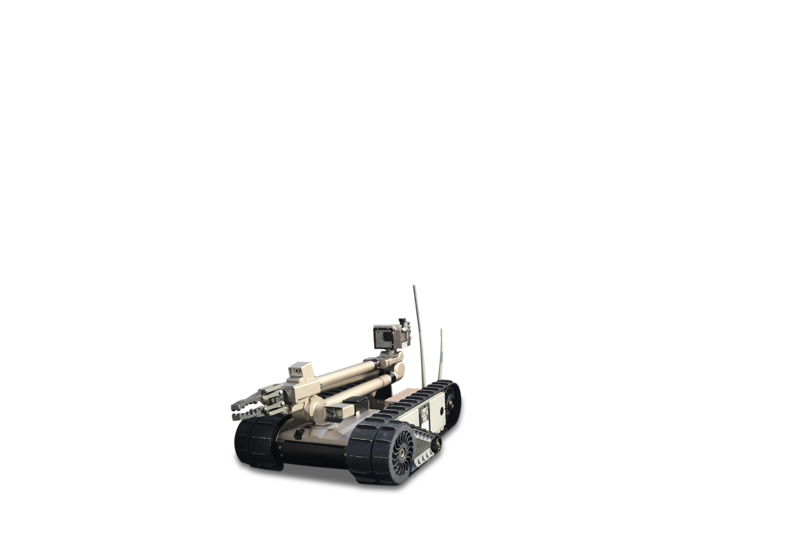 AETOS uses unmanned magnetic wall crawlers to inspect tank floors and walls for debris, corrosion, abrasion, cracks, lining tears/blisters, and more. 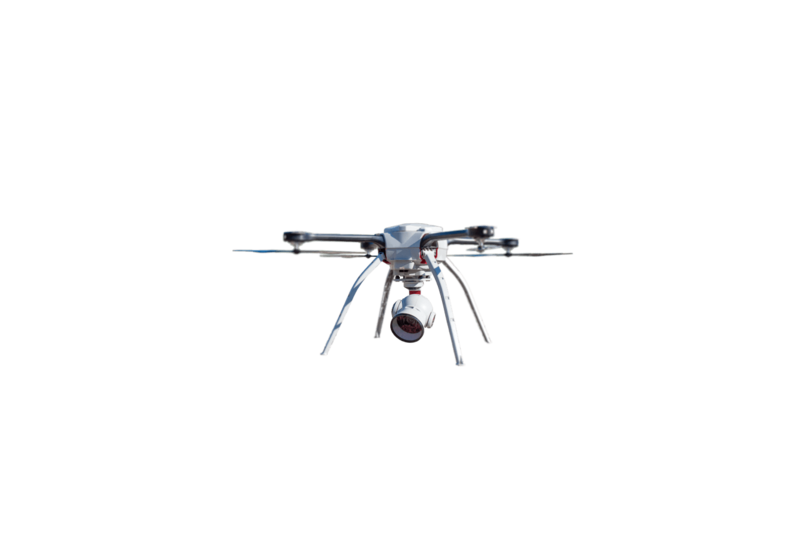 Robotic drone inspections eliminate the need to take oil and gas refinery and chemical plant tanks out of service, saving huge expenses. The surface drones, which are remotely-operated and can be tethered or wireless, can be equipped with lighting as well as visual and thermal imaging sensors. 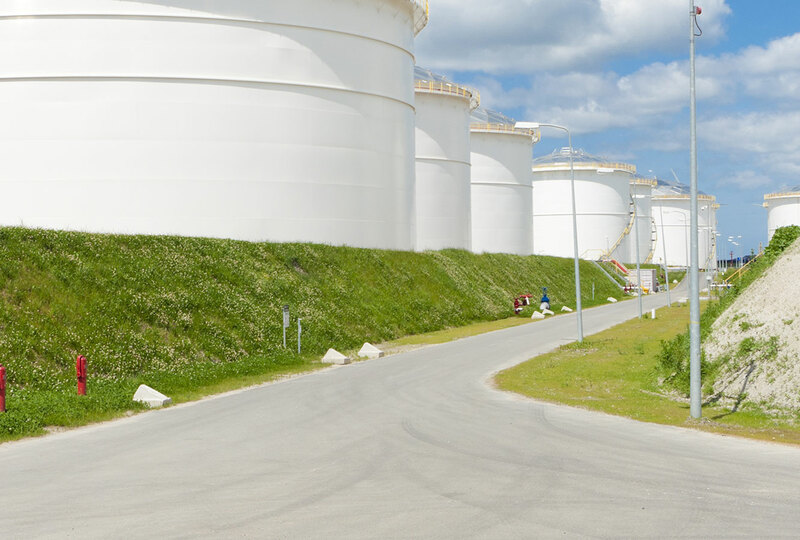 We conduct inspections to API 653 codes to keep your tanks in regulatory compliance. 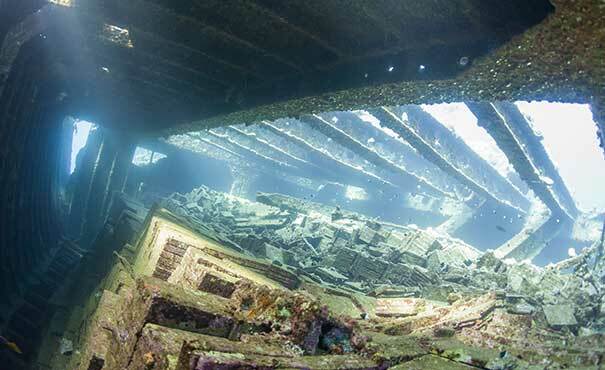 Use of robotic NDT inspections eliminates the need to deploy manned watercraft or engage divers in hazardous confined spaces, reduces pre-inspection preparation, and adds efficiency that reduces overall cost and risk. 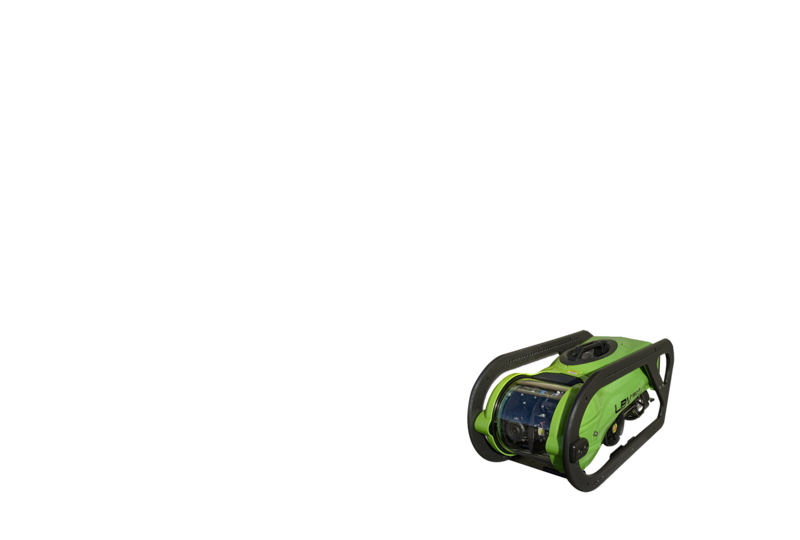 AETOS’ unmanned infrastructure, oil & gas, and maritime industry robotic inspections use submersible ROVs fitted with non-destructive testing (NDT) tools to provide real-time feedback, streaming video, and sensor data. Our ROVs are configured for conducting various liquid-based robotic NDT inspections of maritime areas, sub-sea canals, dams, bridges, sunken structures, and piping/pipelines. Our systems can be equipped with a variety of NDT sensors, sonar, lighting, and manipulator arms designed to meet the needs of specific sub-sea inspection applications. Regular dam inspection and the review of infrastructure inspection records are essential to assess the need for carrying out dam repairs. A thorough inspection of all structural and geologic damage mechanisms, such as erosion, is necessary to ensure both public safety and the structural integrity of the asset. 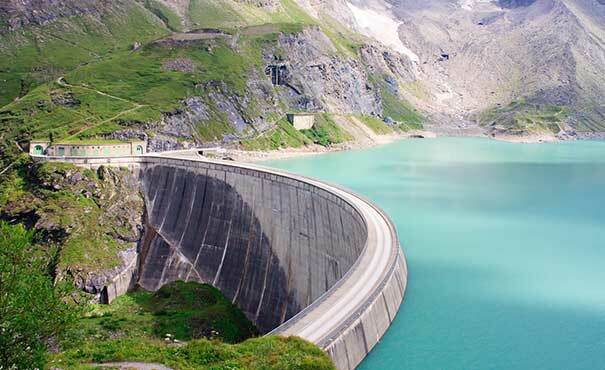 Using tethered robotics of various sizes, we conduct unmanned inspections of penstocks, reservoirs, dam faces, underwater obstacles, and more to safeguard against damage from storms and currents. 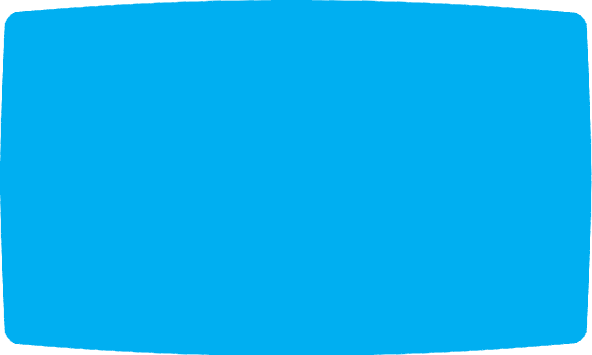 To conduct canal inspections, we utilize underwater acoustic imaging (UAI), an advanced technique that provides detailed images of channel bottom conditions and submerged foundations. 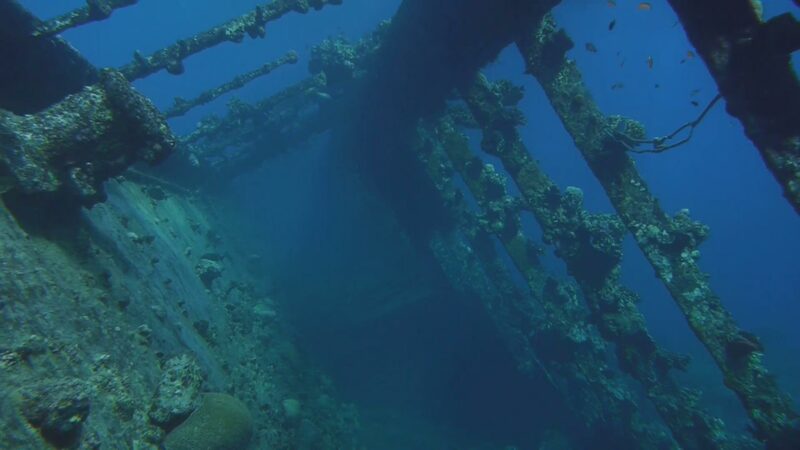 Robotic unmanned drone inspections reduce the need to send divers into hazardous waters, by alerting them to potential hazards before they ever submerge themselves. Our unmanned ROV inspections are also useful for planning diving operations by detecting and alerting operators to potential problem areas, through the use of sonar, lighting, manipulator arms, and video feeds. The structural integrity of bridges is a hugely important component of public safety. As most bridges are built over water, things like storm damage, corrosion, and displacement are not always readily visible, which can prove catastrophic if allowed to worsen. AETOS utilizes a variety of unmanned ROVs for infrastructure inspections of piers, abutments, retaining walls, bulkheads, and other underwater obstacles. Especially in deep water or in confined spaces, AETOS’ ROVss are a safe and effective alternative to sending divers into hazardous locations. Any submerged structure can be inspected with the use of our ROVs, including shipping channels, lanes, terminals, docks, and ports. AETOS can identify potentially weak regions in these structures to ensure that the structures are able to carry their intended loads. Unmanned sonar scans can be done to provide underwater mapping of the depth and shape of channels, alleviating inspection preparation time and costs. Cracking, pitting, corrosion and any other type of visual indication of damage can be discovered before catastrophic failure occurs, and UT testing can perform maritime wall thickness measurements. 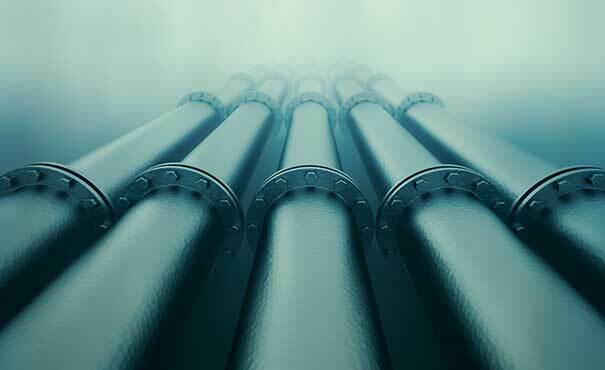 We conduct unmanned oil & gas inspections on all types of piping and pipelines that run underwater, including piping running through ship channels and pipelines that traverse rivers and canals. Additionally, our unmanned ROVs are able to inspect assets with water inside them, such as cooling water piping, drainage piping, and more. In-service inspections are of the utmost importance because of the costs and difficulties involved in removing liquid and shutting down the pipe for inspection. We prevent the need for flow stoppages through the use of high-resolution cameras, UT, and sonar, which can check for blockages in high-turbidity liquid. In addition to our extensive range of inspection services, AETOS also offers exploratory robotic underwater examinations. Manned expeditions into shipwrecks are inherently filled with risk, with no clear indication of the structure’s integrity. 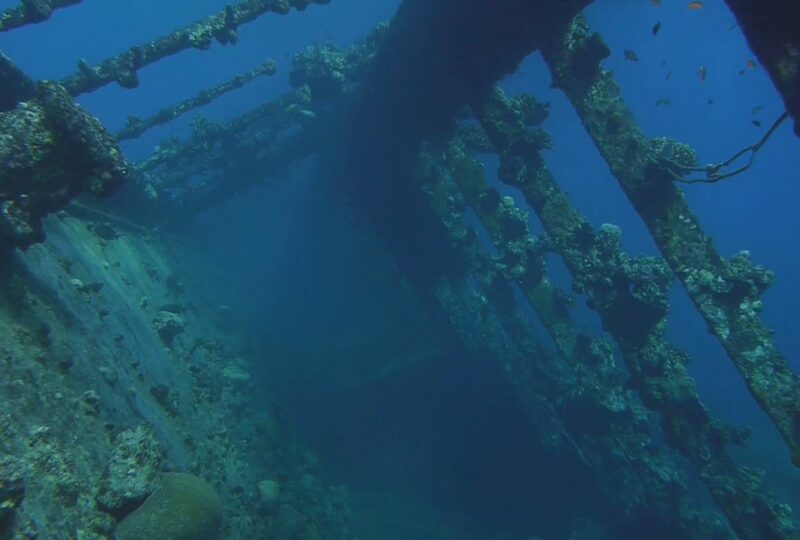 Unmanned sunken structure assessments safely and accurately survey underwater regions for potential risk locations, greatly enhancing the preparation and planning processes for future manned dives. Dropped payloads can also be examined for potential recovery. One of AETOS’ priorities is to reduce the need for confined space entry (CSE). This type of work is dangerous and involves a great deal of preparation, additional equipment, and personnel to carry out. Risks are further enhanced when CSE inspections are needed in elevated areas, requiring expensive and time-consuming scaffolding to be constructed. In these cases, unmanned NDT inspections are a valuable alternative. 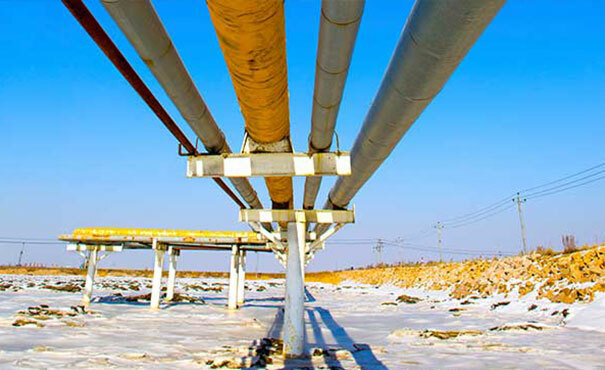 AETOS takes on challenging CSE inspections in a variety of industries, including the energy, petrochemical, municipal, and infrastructure sectors. Already, we’re capable of completing visual, ultrasonic, infrared, and eddy current CSE inspections, and we are working with industry leaders to further develop additional applications. We are constantly evolving our indoor aerial capabilities in addition to adding other important techniques to our toolbox, like 360-degree virtual reality cameras and robotic crawlers. Our mission is to cost-effectively reduce or eliminate the need for elevated work, confined space, and hazardous area entries. We plan to revolutionize maintenance and inspection processes by making them safer and more effective and significantly reducing costs and downtime. We believe in the power of knowledge, innovation, and technology, and that the inspection industry’s future lies in an integration of these three ideas. MISTRAS’ resources, AETOS’ licensed pilots, and our combined extensive pool of NDT knowledge make AETOS the starting point for the future of NDT inspection. We promise to meet your need with a total solution and provide the data necessary to make informed decisions. We will do that while maintaining the highest level of safety and value. The National Unmanned Aircraft Systems Credentialing Program (NUASCP) recognized our commitment to excellence, by awarding us a third-party certification for safe and effective drone operations. We were among the first in the industry to receive this credential. NUASCP is a program developed jointly by the Texas A&M Engineering Extension Service (TEEX) and the Lone Star UAS Center of Excellence and Innovation (LSUASC) at Texas A&M University- Corpus Christi. AETOS is a proud participant of the SPRINT Robotics Collaborative. The Collaborative exists to promote the advancement of robotic technologies for use in inspections and maintenance applications on capital infrastructure, particularly in the petrochemical industry. Are unmanned aerial systems (Drones, UAV, sUAS) legal for commercial use? In 2016, The FAA and Department of Transportation (DOT) released federal regulations regarding the use of unmanned drones, endorsing their use in commercial applications. Prior to this publication, AETOS had received an FAA 333 Exemption, allowing us to fly unmanned aerial systems in the national airspace. You don’t have a location near me, can you still help us? Absolutely! We are expanding rapidly with plans for multiple regional locations. In the meantime we will travel to any site in the country for a personal demonstration of our unmanned drones. I have an application and cannot find a robotic solution, can you build it? While we are not manufacturers of robotic unmanned aerial systems, we work diligently with industry leaders to develop appropriate solutions. In some cases, we can integrate systems and modify as needed to fit our clients’ needs. In other cases, we will engage our manufacturing partners and enter into development for new capabilities. How long does it take to conduct unmanned robotic inspections? This varies greatly with the area to be inspected and the type of NDT inspection that needs to be conducted. In some cases robots can be faster than human inspection, but in general, robots are slower at completing the inspection task itself. However, factoring the time it takes to prepare, mobilize, and permit a confined space entry (CSE), robots will be faster. This means less down time. Finally, while being faster considering total scope, robots are safer. Eliminating CSE is a major reason to use unmanned drones. Can unmanned drones be hijacked? Simply, no. All wireless vehicles are operated using an encrypted communications link. Is data gathered during inspections secure? Yes. For wireless vehicles with real-time data streaming, all datalinks are encrypted. For wired or tethered vehicles, all information travels over a physical cable. Since companies view their NDT inspection data as sensitive, unless the client has requested reports, we will give the data storage medium to a company representative to limit access. How do you manage operations in hazardous (classified) areas? Through the FMEA process, we determine with clients the extent to which unmanned operations in classified areas will take place. With current clients, our aerial inspection platforms have been approved over Class I Division I and through (no loitering) Class I Division II areas. With camera and sensor technology today, we can comply with these classification guidelines and still conduct an effective NDT inspection. Are unmanned drones intrinsically safe? No. However, we are exploring classification with manufacturers of unmanned drones. All robotic systems we have used to date use brushless motors which are magnetic and create no spark. They also utilize water tight electronic compartments. Why don’t you have any photos of your work on the website? As much as we’d like to show you all of the great things we’re doing, the NDT information we gather at client facilities is confidential and we cannot share it. We hope to get a few photos and promotional videos released in the future. Given the regulations, how much aerial inspection experience does AETOS have? AETOS was the first company to receive FAA approval to fly UAS in the petrochemical industry, beginning in 2012. Though the industry is new, AETOS has as much or more experience than any other company currently operating in this line of work. Starting in 2012, AETOS facilitated an aeronautical research, inspection application, and operational safety project under a Certificate of Authorization (COA) held by Northwestern Michigan College and The Dow Chemical Company. Through this project, we defined safe operating procedures and checklists for manufacturing facilities, determined high value applications, and developed operating techniques to maximize NDT data acquisition. Our other robotic systems are currently operated with clients in unclassified areas with a low-energy hot work permit. Since companies view their NDT inspections as sensitive, unless the client has requested reports, we will give the data storage medium to a company representative to limit access. Are unmanned aerial systems (Drones, UAV, smallUAS [sUAS]) legal for commercial use? In 2016, The FAA and Department of Transportation (Department of Transportation) released federal regulations regarding the use of unmanned drones, endorsing their use in commercial applications. Prior to this publication, AETOS had received an FAA 333 Exemption, allowing us to fly unmanned aerial systems in the national airspace. What happens if the UAS loses communications with the Ground Station? The UAS will climb to an altitude above the highest obstacle, return home, and loiter above the launch location. If communication link is not restored, the UAS will land itself where it launched from. How long does it take to do an inspection using UAS? UAS inspection is extremely efficient; an abundance of NDT information can be gathered quickly. While the complexity of the task needs to be kept in mind, we can do 5-6 thorough, operating flare stack inspections in a single day. Things like distillation columns, tank tops, overhead piping, and cooling towers can be much simpler and take less time, generally. GIS/mapping projects vary by area. We can cover about 100 acres in a day. Processing time for large mapping projects can take up to one week using specialized, high-powered computers to put the data together. Starting in 2012, AETOS facilitated an aeronautical research, inspection application, and operational safety project under a Certificate of Authorization (COA) held by Northwestern Michigan College and The Dow Chemical Company. Through this project, we defined safe operating procedures and checklists for manufacturing facilities, determined high value applications, and developed operating techniques to optimize NDT data acquisition. Our other unmanned drones are currently operated with clients in unclassified areas with a low-energy hot work permit. In some cases robots can be faster than human inspection, but in general, robots are slower at completing the inspection task itself. However, factoring the time it takes to prepare, blind, and permit a confined space entry (CSE), robots will be faster. This means less down time. Our other robotic technologies are currently operated with clients in unclassified areas with a low-energy hot work permit. Click here to view our interactive AirTour Experience. We’re sure you have questions. Want a closer look at what we do and some of our equipment? Sign up for our interactive AirTour to see what our drones see. We’d love to visit your site to show you how we can help; we’d be thrilled to talk about your specific needs in person. To view our interactive AirTour experience, please complete the simple form below. AETOS, a member company of MISTRAS Group, Inc. (NYSE), is an innovative pioneer in providing unmanned inspection solutions to the oil & gas, petrochemical, and civil infrastructure industries. Backed by MISTRAS’ capabilities as a one source global provider of technology-enabled asset protection solutions, AETOS combines extensive industry knowledge with advanced technology to deliver safer, more efficient inspections.